Description: From Good Smile. 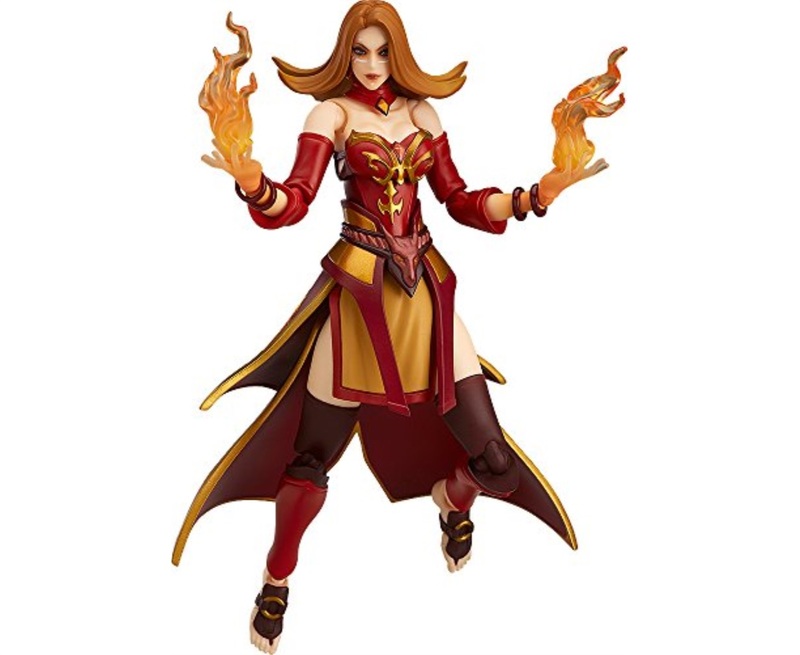 From the popular game DOTA 2 comes a figma of Lina the Slayer! A flexible plastic is used for important areas, allowing proportions to be kept without compromising posability. An alternate head part to display her wearing the "Fiery Soul of the Slayer" head piece is included Along with both a standard expression and an awakened expression. Four different fire effect parts are included to display her in her element. An articulated figma stand is included, which allows various poses to be taken.